Nothing particularly stood out to me, movie-wise. I get more excited about tv shows, honestly. With that being said, The Walking Dead is still my favorite tv show, ever, obviously. 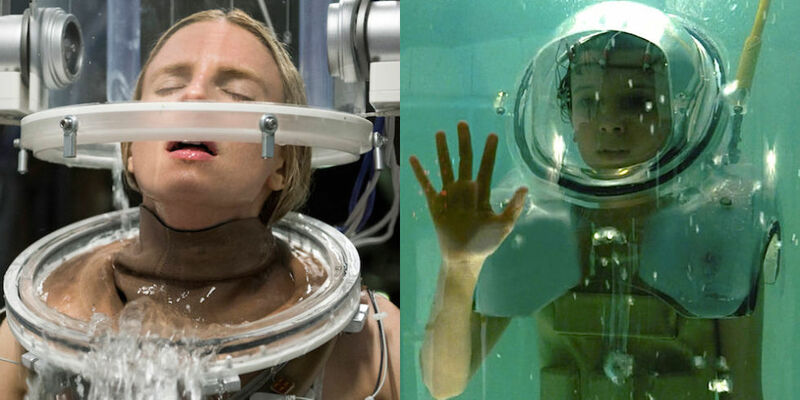 Stranger Things and The OA were both equally excellent with The OA slightly edging out Stranger Things as my favorite of the two but it struck me as quite odd as to how similar they both seemed to each other. Westworld bored me to tears (up till episode 6 which I feel like is when it picked up). I grew up watching Jay Leno and Conan O’Brien but Conan quickly became my favorite of the two and I haven’t stopped watching his shows since. 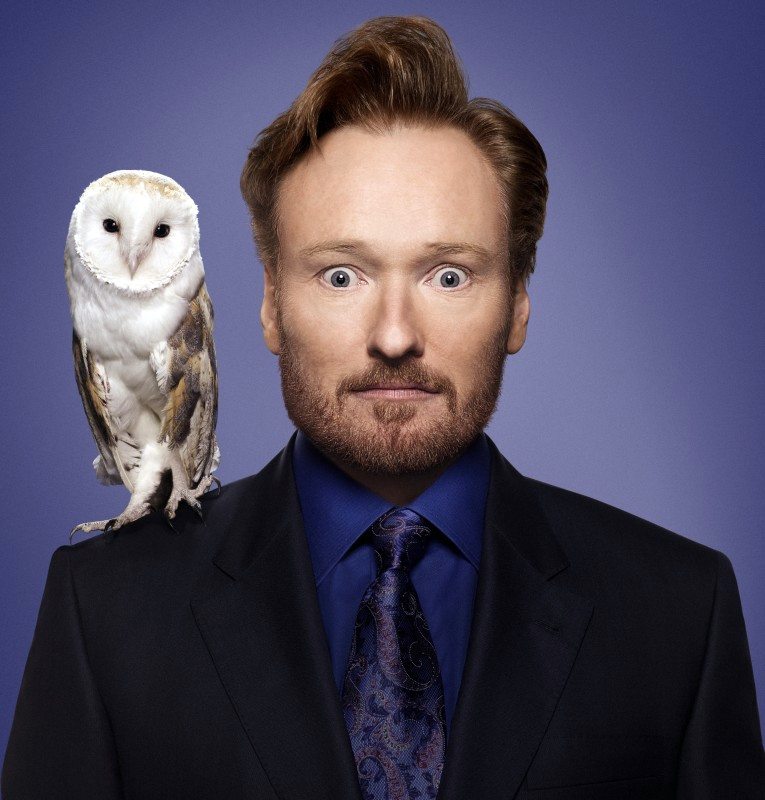 Conan is simply a delightful human being! Honestly, I love the guy! I don’t watch any other talk shows because I just never really got into Ellen and I can’t stand the two Jimmy’s (Jimmy Fallon and Jimmy Kimmel). Another show that I’ve watched from Day 1 and have always been a huge fan of is Survivor (which deserves its own post, really). Every Friday morning, after they’d get back from praying at the mosque, my brothers and I would gather in the Cinema Room and watch the latest episode of Survivor. It’s kind of been our ritual to watch Survivor as a family ever since the show first started (I wanna say 2000? We used to watch it on one of the channels on Showtime back then). 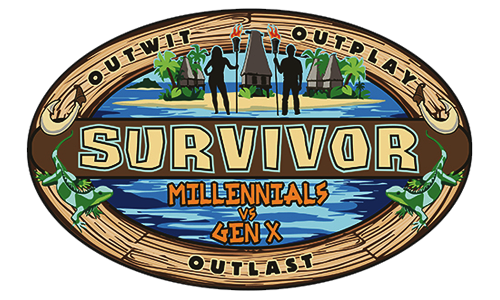 Gen X vs Millennials was the latest season’s theme, as you can see. 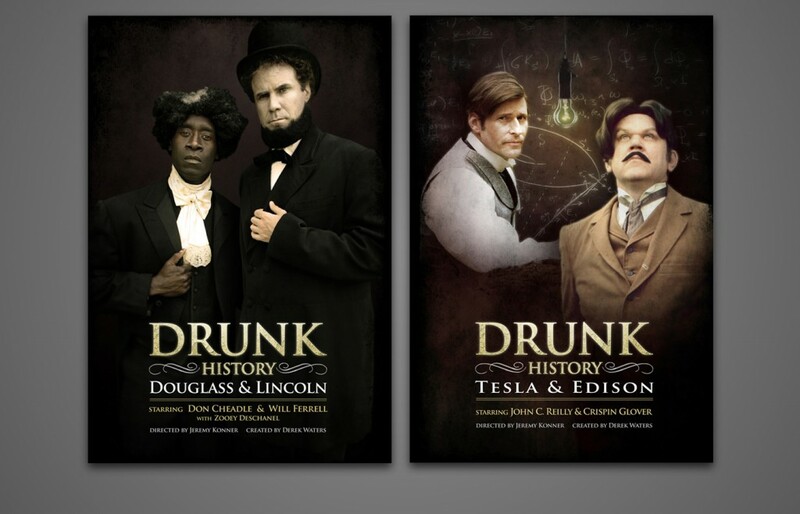 Another show I adore is Drunk History. It’s insanely hilarious! My favorite episode is the one about Roald Dahl the author of so many good books including my favorites The BFG and The Witches (movie scarred me as a child). He also wrote Fantastic Mr Fox, Charlie and the Chocolate Factory, James and the Giant Peach, and Matilda. All Roald Dahl wants to do is write children’s books but he’s such a good spy that he keeps getting sent on missions regardless – poor guy – which is hilarious to me! Sadly, none of my friends watch Drunk History because it’s just not their thing. I’ve also seriously delved into British Telly this year! 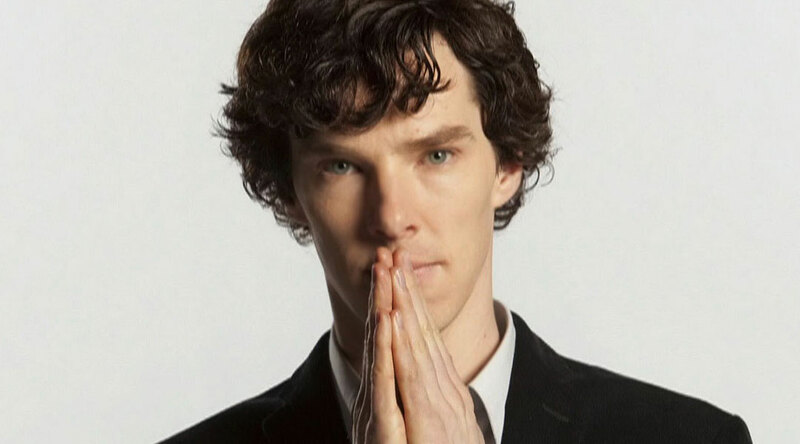 My younger brother has been saying I should watch Sherlock (starring Benedict Cumberbatch) forever now but I refused because it was only 2-3 episodes per season but eventually I did watch it (2-3 years ago) and fell in love with Benedict Cumberbatch. 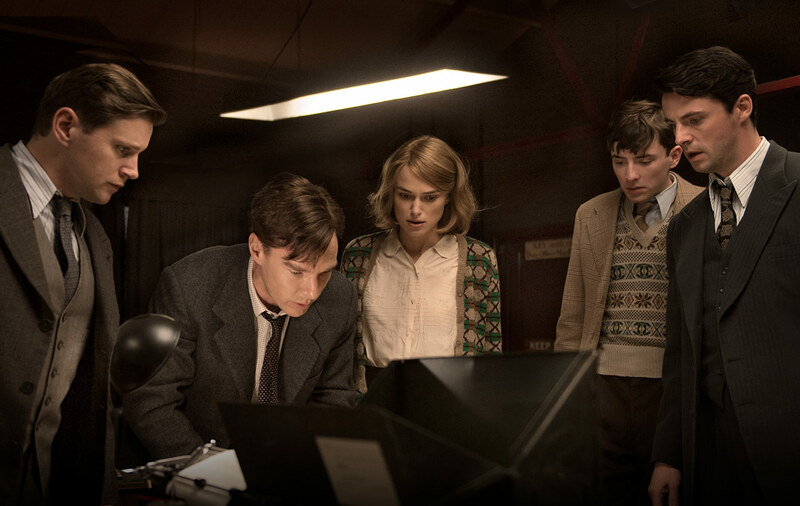 Then the Imitation Game came out and since I was smitten with him I obviously loved that movie too (watched it 3 times to date and I rarely re-watch a movie) and actually cried and cried each time (possibly more with each viewing). Such a good movie! 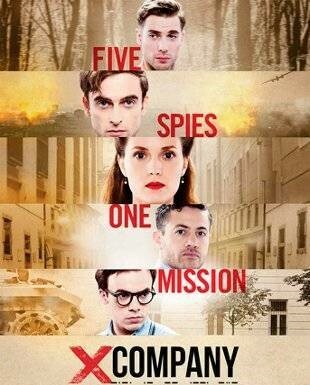 Going off of Imitation Game‘s traction I got into the show X Company (Espionage thriller inspired by true stories of an ultra-secret training facility during WWII). 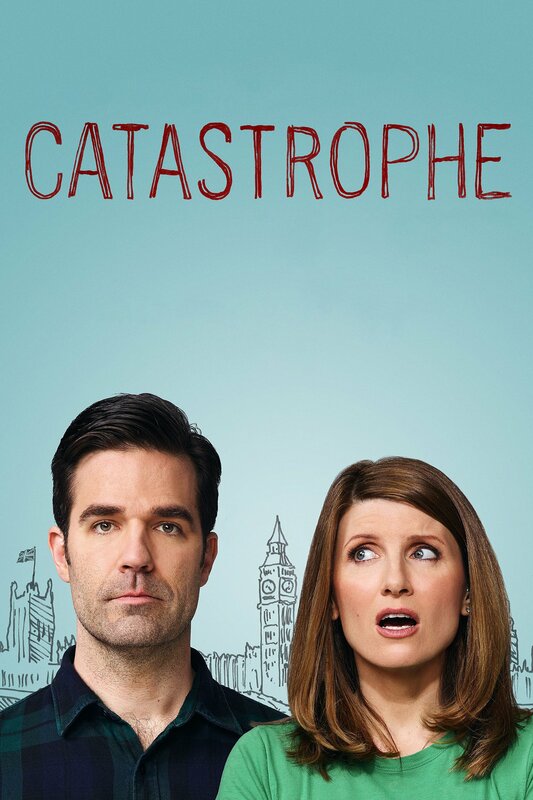 Then I found Catastrophe (Amazon Prime) The show was like a long satisfyingly drawn out rom-com movie (except this was a show) about an American (Rob) in the UK on short business trip, who has a one night stand with a British woman (Sharon) and gets her pregnant. I adore their banter and honestly I find Sharon absolutely charming! Worthy of note, Carrie Fisher (most known for her role as Princess Leia on Star Wars) played the part of Rob’s mother. She passed away on December 27, after finishing the filming of season 3 of Catastrophe, may she rest in peace. 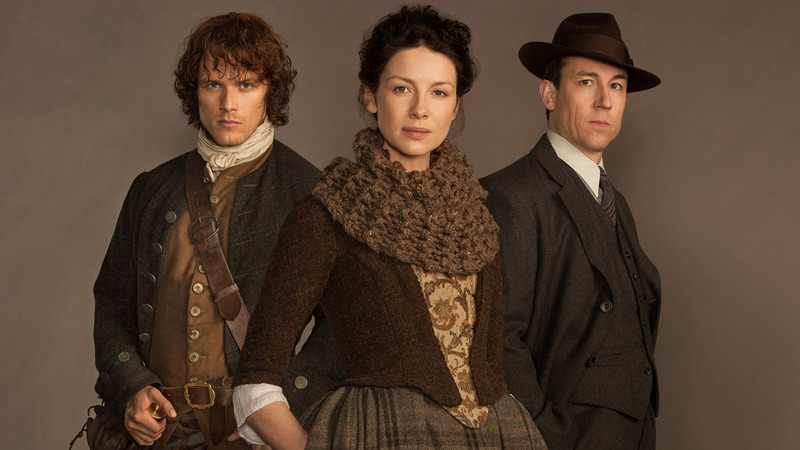 Outlander (based on my favorite books of life) is another period drama (Jacobite Rising) for those who are going through Downton Abbey withdrawal, as is Poldark. 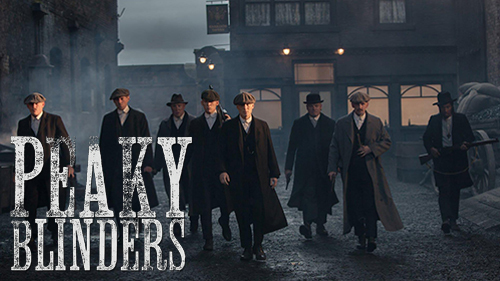 Their accents are everything! 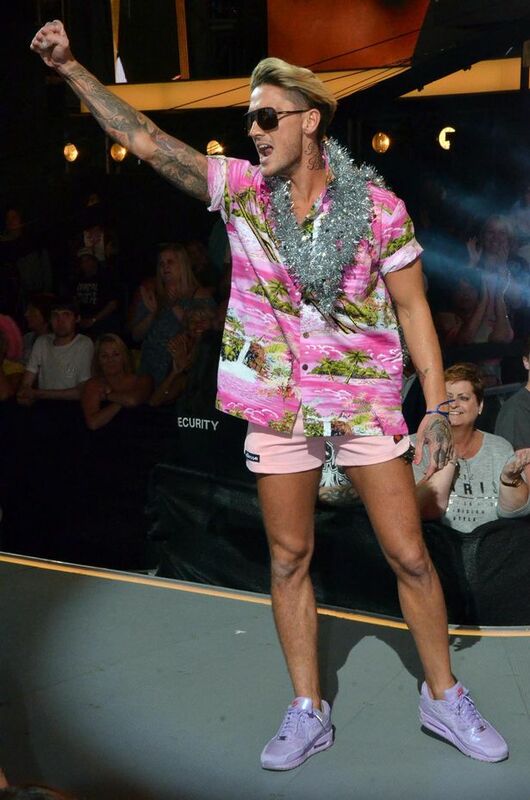 but this year I also started watching Ex on the Beach (silly and repetitive but fun) because Geordie Shore left us with a cliff-hanger “Will Charlotte and Gaz end up together?” but I read somewhere that she’s heartbroken because of his antics on Ex on the Beach so I watched a bit of it but a lot of the cast were obviously acting up for the camera so I stopped watching. 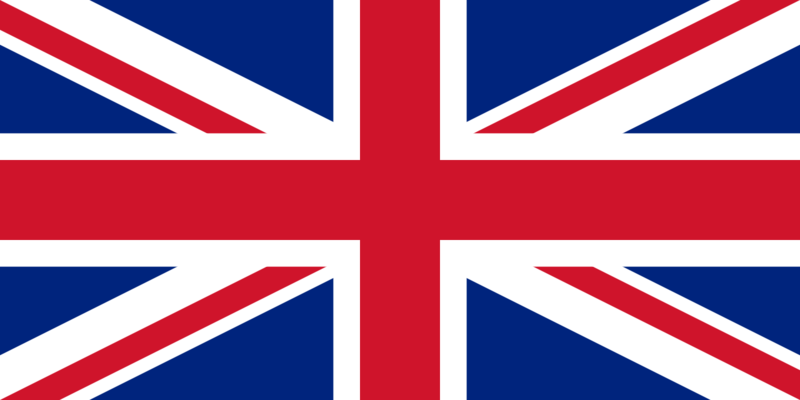 I also watched Celebrity Big Brother (don’t even know the majority of them because I don’t live in the UK but still somewhat entertaining) and best of all and completely new to me is Big Brother (UK). I was completely mesmerized watching all these different people of all ages, from all walks of life interact with each other. 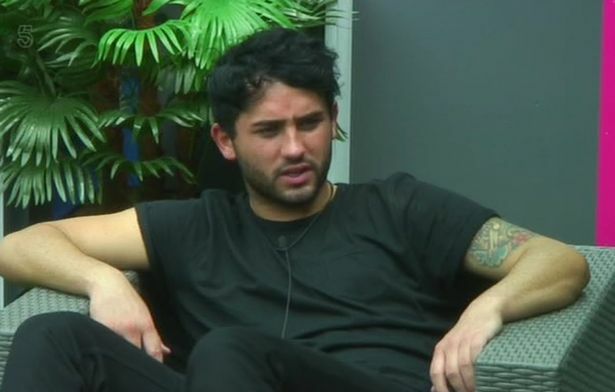 In fact I fell in love with Hughie Maughan because he always stood up for himself (confident), defended his boyfriend (loyal), and fell in the pool when he was doing his Magic Mike bit which killed me (hilarious) aside from having the most magical accent (Irish), delightful voice, and charming looks (dark hair, blue eyes, dimples)! I was literally bawling my eyes out when he didn’t win (even though he appeared to be fine with it). 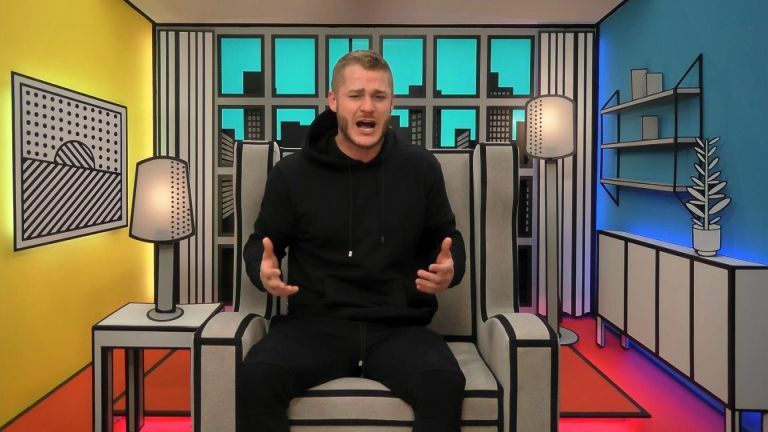 When you watch all these shows you start noticing the same people flitting from one to the next (Marnie from Geordie Shore was on Celebrity Big Brother, Bear from Ex on the Beach won Celebrity Big Brother and Ryan actually auditioned and made it to bootcamp or whatever before the drinking and partying got in his way on The X Factor later appeared on Big Brother alongside Hughie). 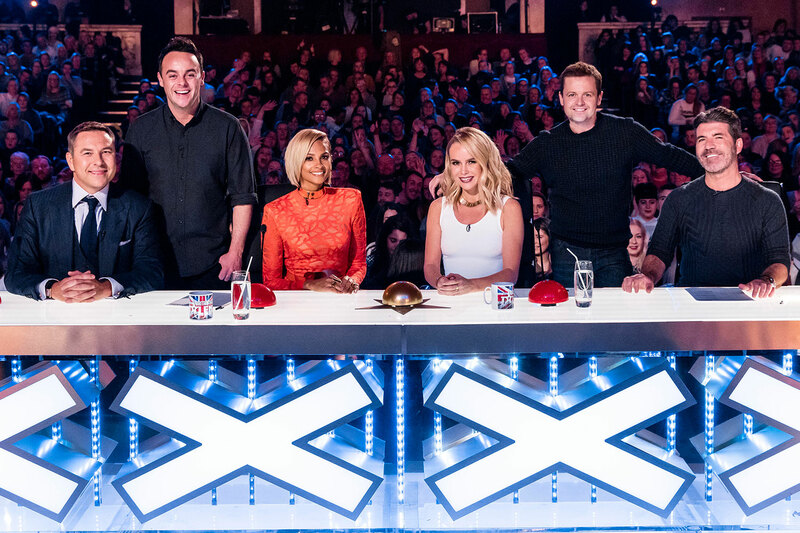 Which brings me to the next shows that I’ve regularly watched for years Britian’s Got Talent and The X Factor. I know they are staged and all but I just can’t get enough of them! I get such a kick seeing Simon rip someone a new one or even better when his face lights up and he smiles after a contestant supposedly blows him away with their angelic singing. Plus Ant and Dec are adorable! Like I said, year of the British Telly (‘cuz that’s a lot of British shows). In fact, I’m downloading the latest episode of Celebrity Big Brother right this very minute. and the adorable twins Jedward. 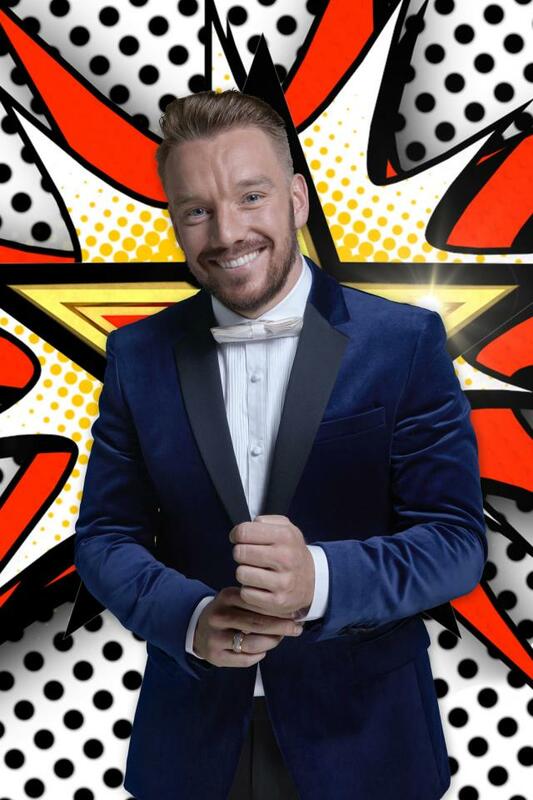 I usually multi-task when I’m watching a show but just like Survivor and The Walking Dead, I actually sit down and focus on Celebrity Big Brother (UK). Like I said, I only discovered it in 2016 and after falling in love with Hughie, binged the past seasons (well, whatever I could find) of Big Brother and when that was over, binged on Celebrity Big Brother (that Bear is a character!). I’ve always heard of Big Brother (remember when there was a fuss over the Kuwaiti girl being a contestant on the show?) but I never actually saw an episode of it before 2016, because when the show first came out, there was a huge influx of new reality tv shows so I opted to turn my nose up at all of them, only sticking with Survivor. 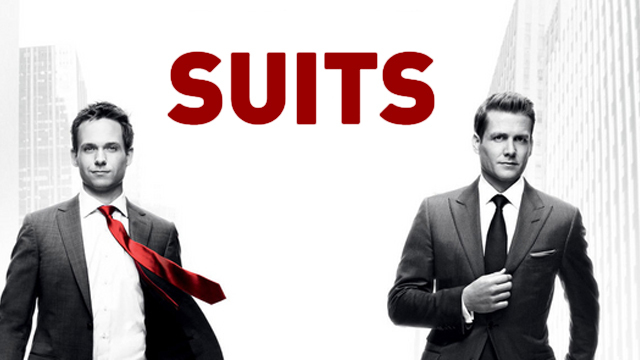 Suits which is about a bunch of lawyers is one of “fluff” shows that I watch because it’s got heart and I love a good bromance! I saw a little bit of Better Call Saul but quit after only a few episodes. I really liked that character on Breaking Bad but not enough to watch an entire show revolving around him. 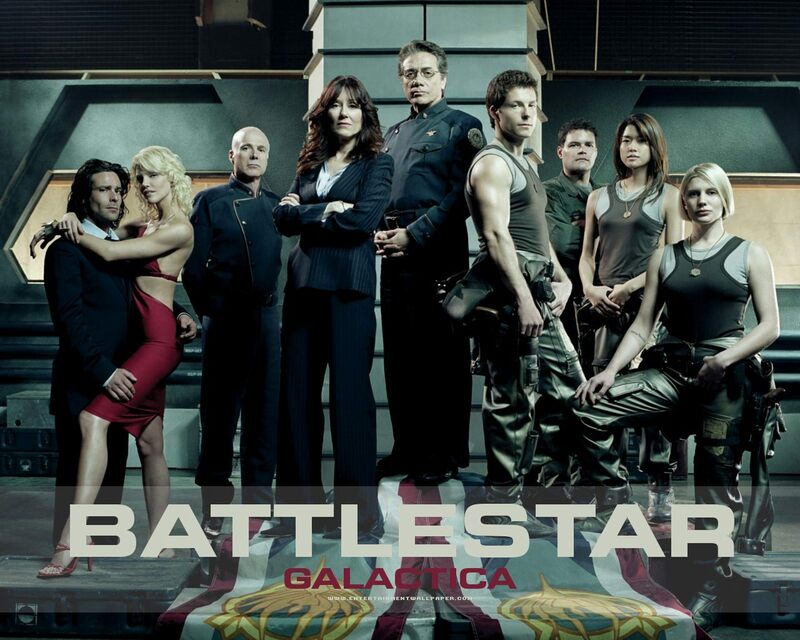 I know I said I’m not into anything with the word “star” in it but Battlestar Galactica was an excellent show (I loved watching the human aspect of it, how they interacted with each other and also Six is stunning and I was always trying to recreate her makeup but most importantly I loved watching how the rest of what was left of humanity deal with the Ceylons). That said, I just can’t seem to find a good, meaty, sci-fi show since. Rene Enchevarria (who created another excellent show called The 4400 which was kinda’ like Heroes but not really), Alex Graves (who has directed six episodes of Game of Thrones), a whole bunch of others as well as unfortunately Brannon Braga. 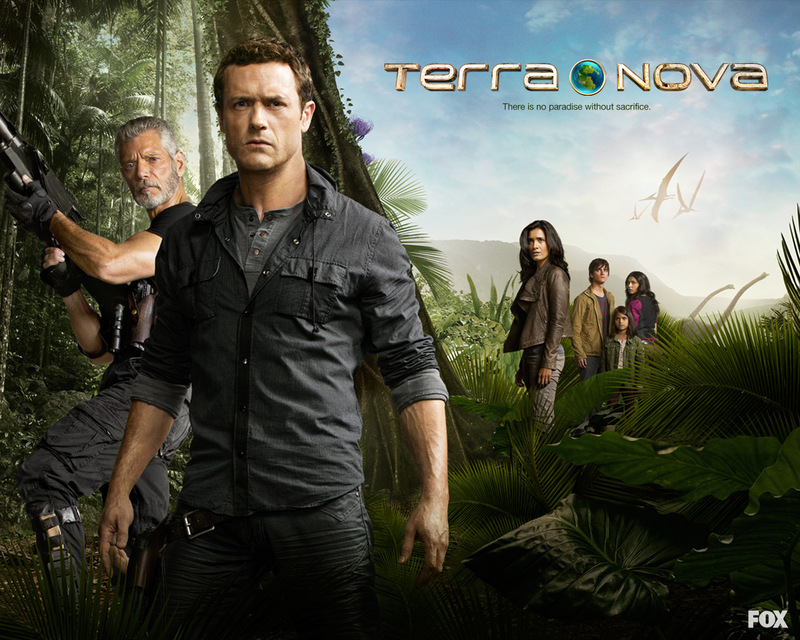 Once I saw Braga’s name I just knew Terra Nova was gonna’ get canceled so I was hesitant about watching it (so I wouldn’t get attached) but I watched it anyway and I did get attached and just as predicted, it got canceled. I swear that Brannon Braga is a jinx! 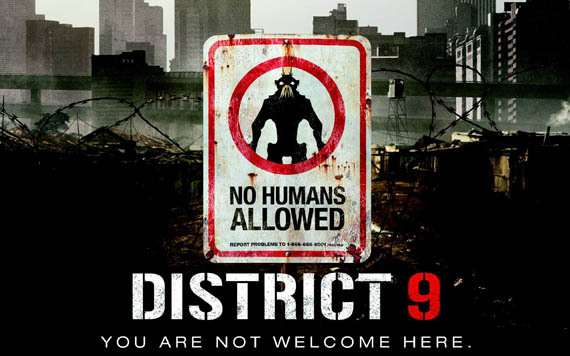 (District 9 was another movie I watched thrice even though I rarely watch the same movie more than once but D9 was just that good!) 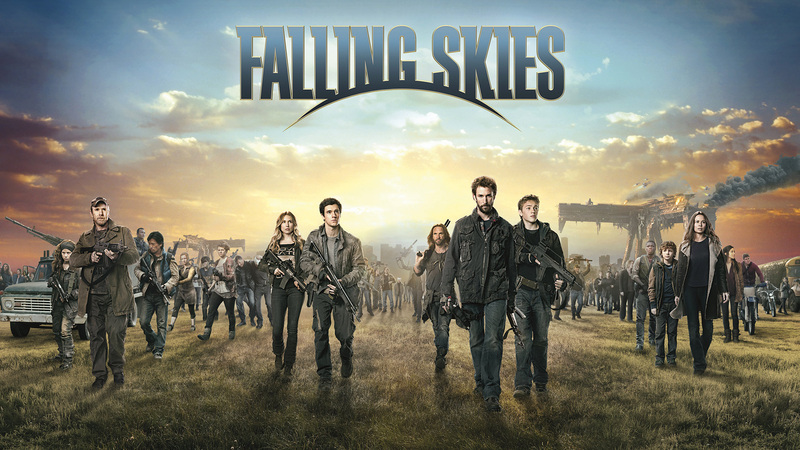 but Falling Skies bored me to tears a few seasons in, especially when it got even weirder but I figured I’ve watched this far might as well see the whole thing through. Coincidentally, it was also executive produced by Steven Spielberg. 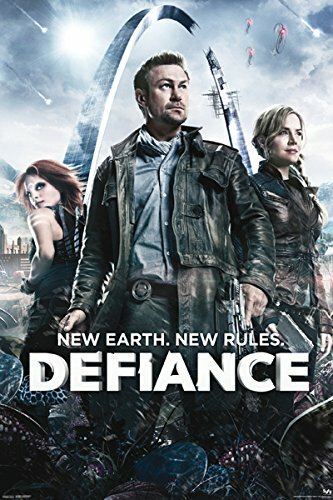 I watched Defiance which started off strong but ended up becoming another “fluff” show. I was hypnotized by Stahma Tarr (played by Jamie Murray), the way she looked, the way she talked, the way she moved, her little nuances, everything really. If I had a YouTube Channel, I’d definitely recreate her look for fun! 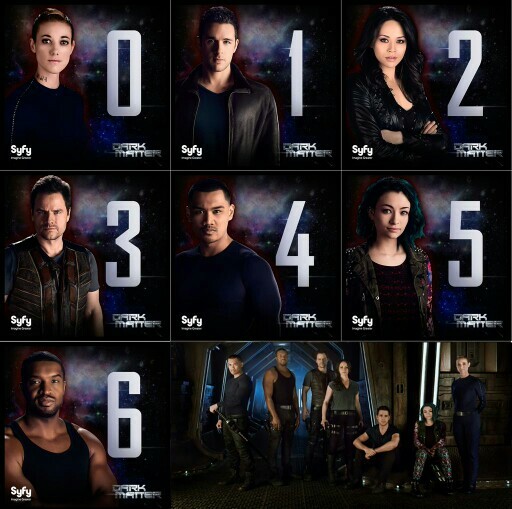 and Dark Matter because they all had an interesting premise and Ruby Rose was in Dark Matter too (I was like “Oh I saw just saw you on Orange is the New Black, whatcha’ doin’ here?) but nah. 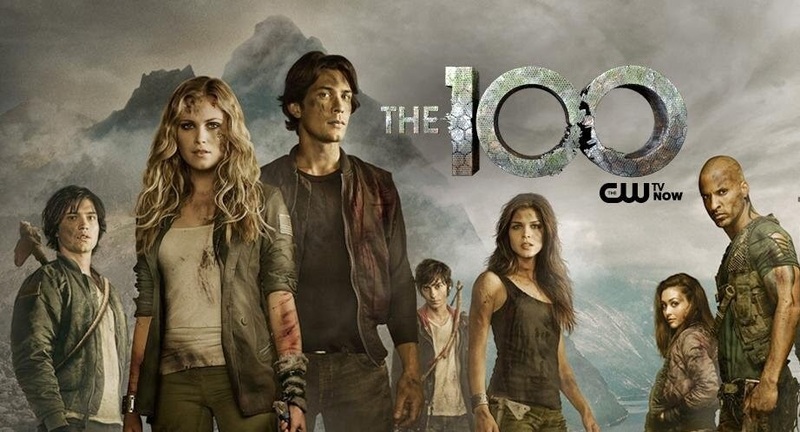 The 100 started off strong too but ended up turning into a teen angst show. 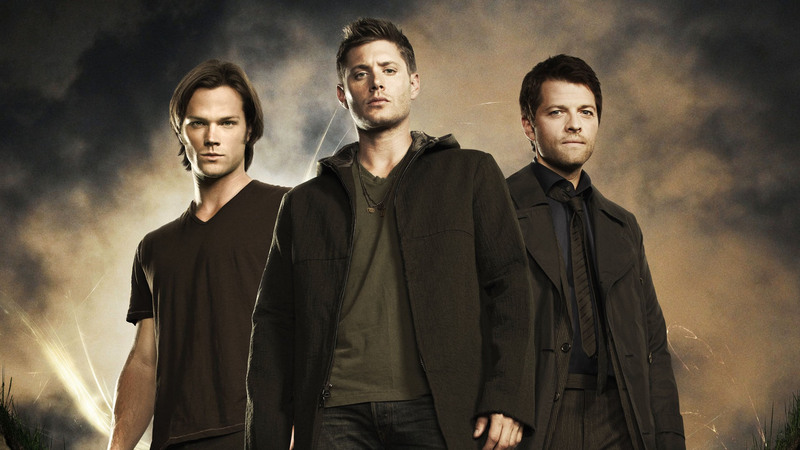 I still enjoy watching it but I classify it as a teen show (along with Vampire Diaries, etc…). I was also really looking forward to The Colony starring Josh Holloway (Sawyer on Lost) and Sarah Wayne Callies (Lori Grimes on The Walking Dead) but for some reason Sarah’s acting gets on my nerves and actually distracts me from the overall show so I quit watching after the pilot. 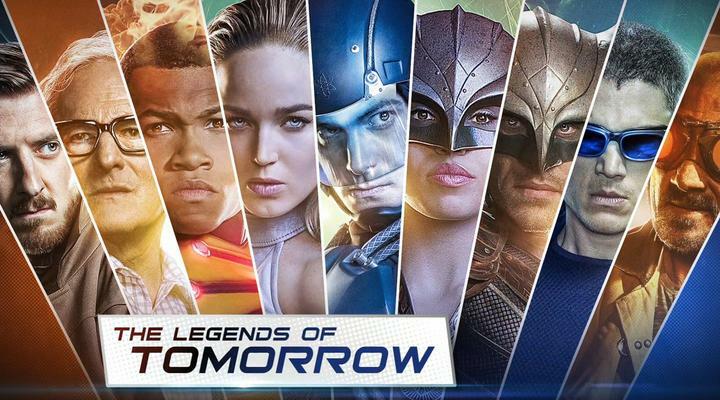 Now I watch DC’s Legends of Tomorrow (which has got both Scofield brothers from Prison Break and Victor Garber whom I adore) while I clean the house. Just like Defiance they only talk about things on DC’s Legends of Tomorrow and don’t really show you (like, where’s the big action sequences, guys?). 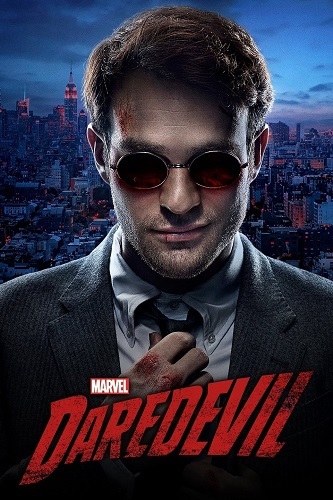 Now Daredevil I sit down to watch and pay close attention to because it’s actually pretty good. 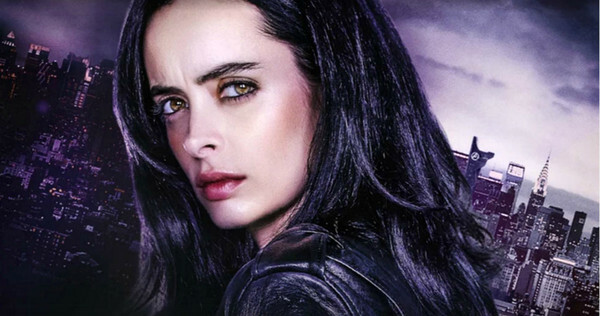 Jessica Jones was so boring but I pushed through and watched the whole thing (I hated every second of it) so I’m not even gonna’ bother with Luke Cage. 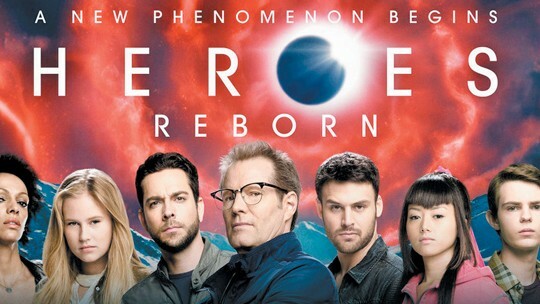 Not sure when I watched it but Heroes Reborn was awesome! 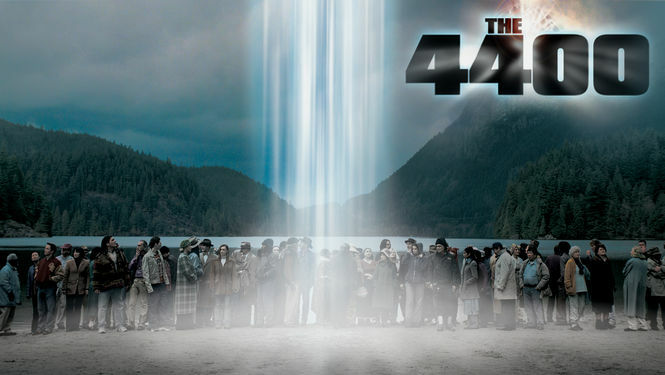 So was The Messengers (which kinda’ reminded of The 4400 as well) but both of those shows are discontinued now. 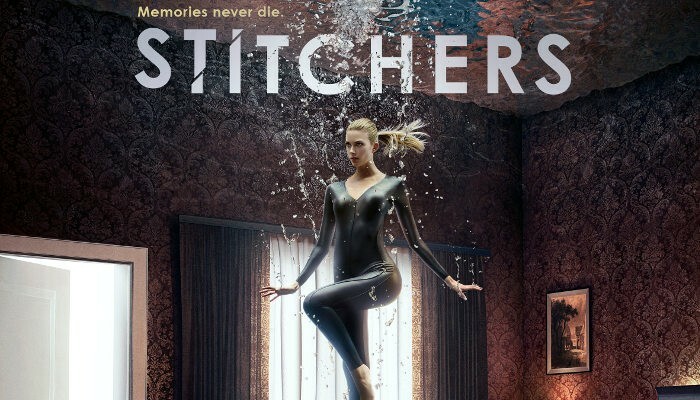 I watched Stitchers which was okay but I can’t stand the lead and I can almost swear she has an accent and they’re forcing her to drop it for the show but it keeps popping up anyway which is distracting and I wish they would just let her talk in her normal accent so my neurotic brain can focus on the show. 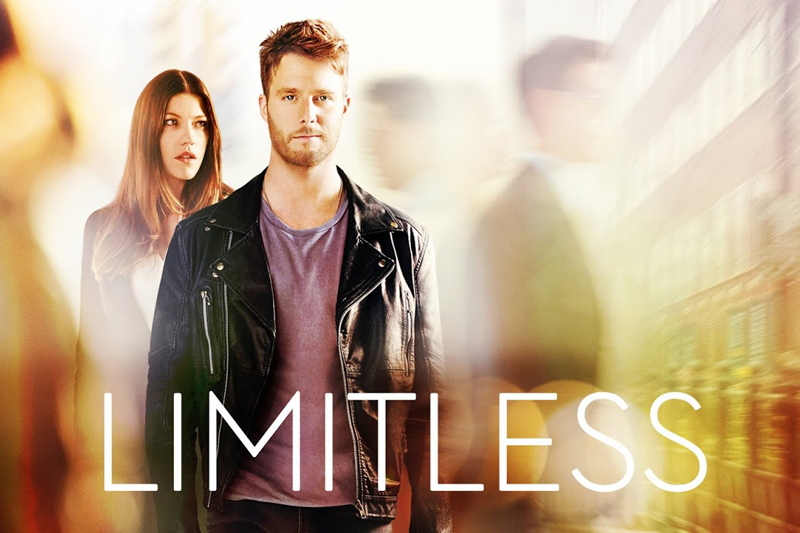 I really loved the movie Limitless but thought it was so stupid that they’d turned it into a show but when I actually watched the show I was hooked (especially since it plays into my love of conspiracy theories) and a friend of mine in Wales says that drug actually exists in real life but we’re not supposed to know about it… or something. 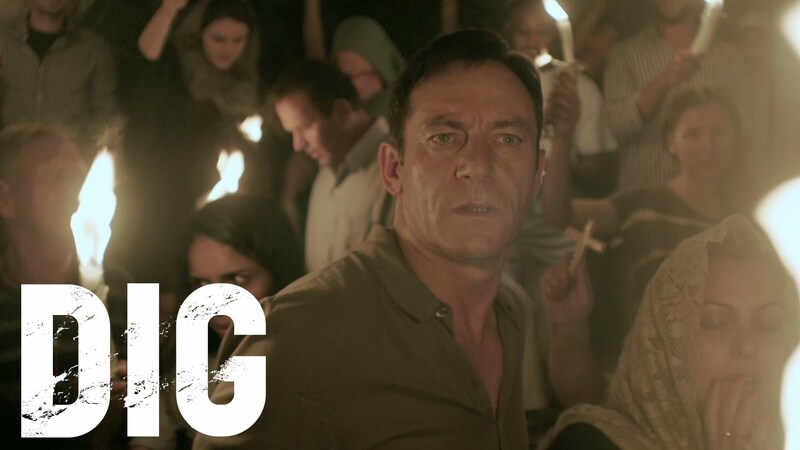 Speaking of conspiracy theories, Dig was an excellent show that I binge-watched this year! It’s about a washed up FBI agent investigating a murder in Jerusalem when he uncovers a 2000 year old conspiracy. I mean… how insanely awesome does that sound? Anne Heche is in it and I only know her as the actress who kinda’ went crazy so yeah. 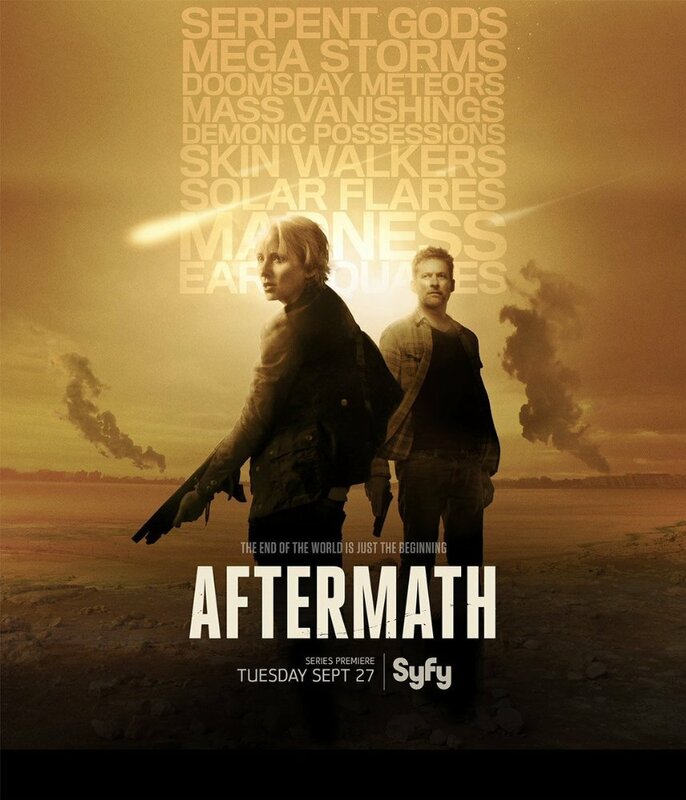 Aftermath is an extremely weird show starring Anne Heche about the Apocalypse and it had everything from demons and skin-walkers to natural disasters (volcanoes going off, meteors crashing to Earth, parts of our Moon exploding) a vortex opening up in the sky and sucking people into it every now and then… and some form of time-travel… I don’t even know, man. Like I said, they just threw everything in there (lawl). 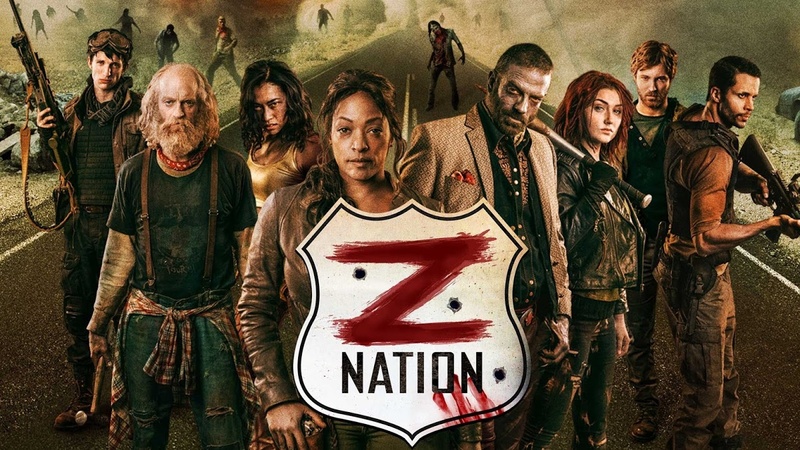 Another show kinda’ like that (doesn’t have any gravitas because it veers more towards the comical) is Z Nation but in the case of this show, it’s meant to be funny. I don’t love it but I don’t hate it neither and I actually love the soundtrack which is ridiculously good (even the intro which kinda’ reminds me of Timbaland – Scream featuring Keri Hilson and Nicole Scherzinger). 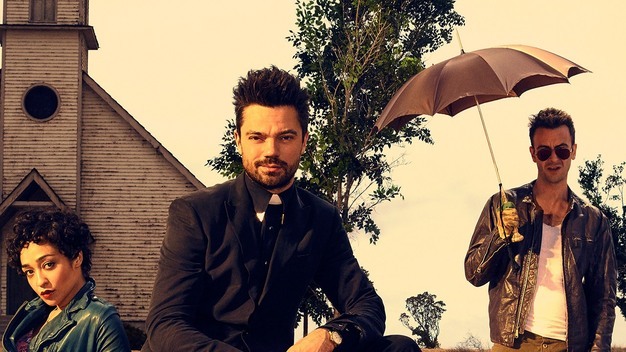 I still can’t quite make up my mind if I love or hate Preacher. Speaking of eye-candy, Vikings is another amazing, amazing show that portrays the lives of er, Vikings. Ragnar Lothbrok’s character is especially mesmerizing! The way his beautiful, beautiful eyes roam around strongly reminds me of cats (when they start seeing things that aren’t really there). The man is a gorgeous… if a bit psychotic. It’s not so much that they’re brave as much as they’re just literally fearless as all they want is to die in battle so they can go to Valhalla and be welcomed in Odin’s hall (or however the Viking lore goes). I also adore the way they talk! I also love their war chants but because I don’t speak Icelandic or Norse or any of those languages, I can’t find it to share with you guys, but it goes like this “heilir hildar til, heilir hildi frá, koma þeir heilir hvaðan” and the guy actually sings it in the clip above (I could listen to that forever) but if you watch the show I mean the chant that Harald Finehair and Halfdan The Black start chanting on the boat (pre-attack) gave me goosebumps! 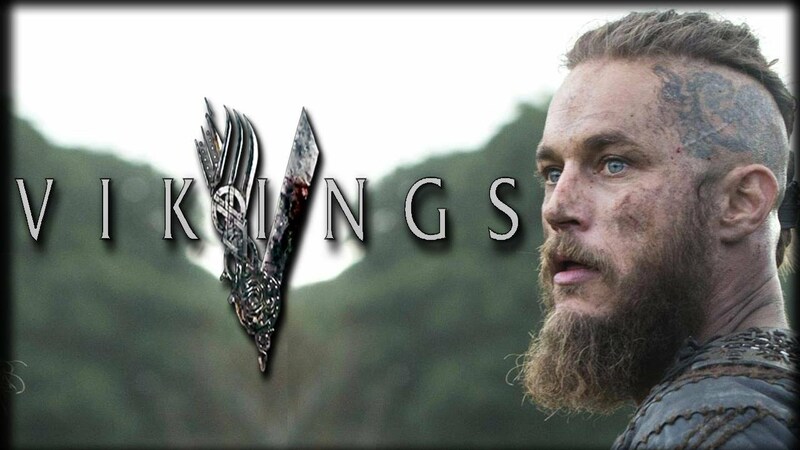 At the risk of well, offending the entire world, I actually prefer Vikings to Game of Thrones. 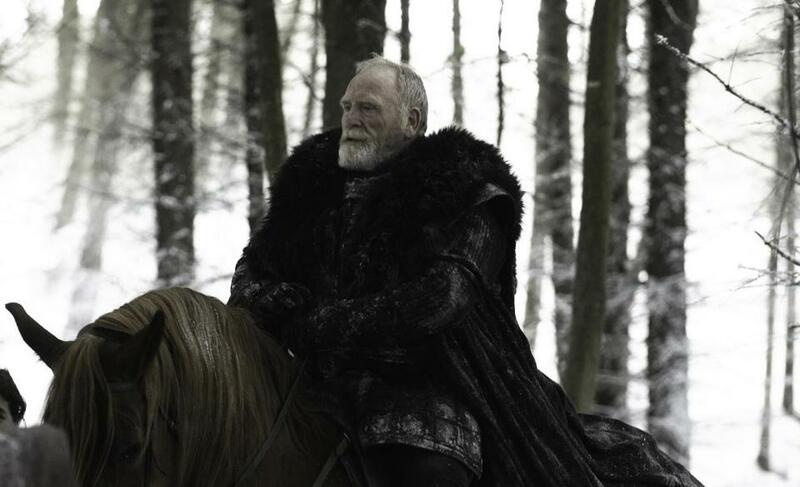 That said, the past season of Game of Thrones was epic! For some reason, I keep forgetting that they are only ten episodes per season. I was talking it over with one of my brothers “That last episode was insane! I can’t wait for the next one!!! !” to which he burst out laughing and replied “Whaddaya’ mean next episode? That was the season finale.” The same thing happened the season before (with my other brother) :/ Dunno’ how I’m gonna handle the upcoming season which is only going to be seven episodes. 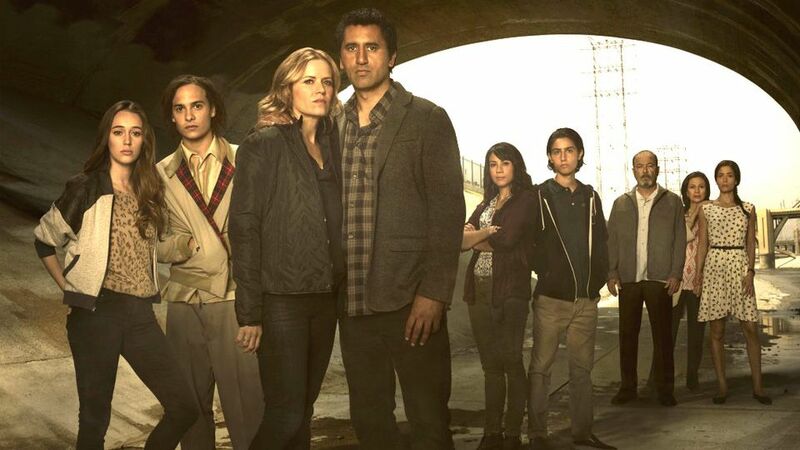 Fear The Walking Dead is pretty good too. At first, I didn’t like any of the characters but eventually they grew on me. Also that one girl is also in The 100 and she’s so pretty on both shows and there’s something ridiculously endearing about her brother on Fear The Walking Dead. 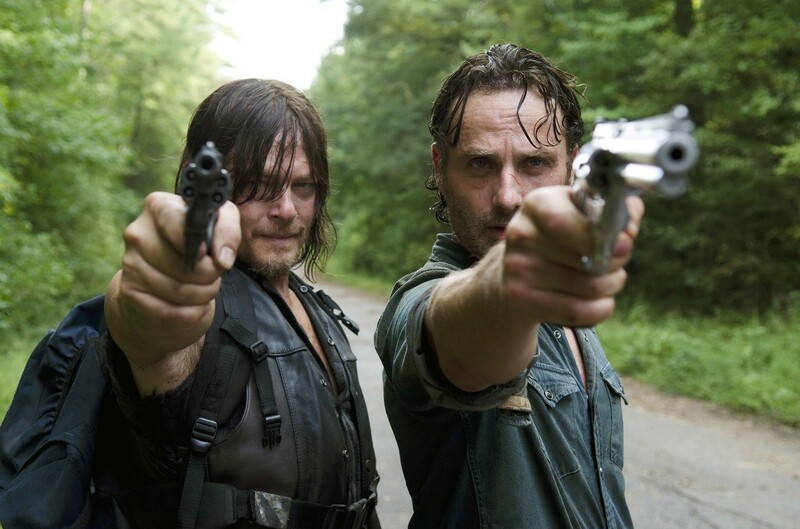 With that said, The Walking Dead is my all-time favorite show! Every time a new episode comes out, my brothers and I would watch it together in the Cinema Room. I also enjoy watching Tyrant. I felt so silly when I asked my friends what country it was based on (because it seemed so similar to several middle-eastern countries) come to find out Abbudin is actually a fictional place. So sad that the show wasn’t renewed. 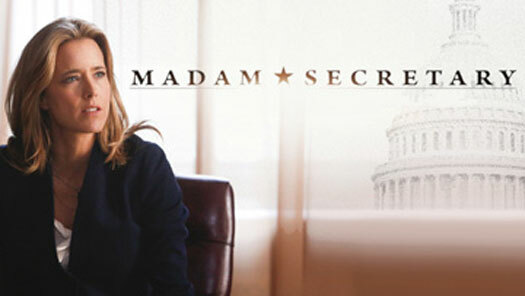 A lighter political show is Madam Secretary starring Tea Leoni (my girl-crush since Bad Boys). I like having it on in the background while I do housework. That said, I’ve started to notice that a lot of the events on the show are actually mirroring the events (irl) on the news. As far as I know, tv shows are not shot in sequence but some of the episodes center around events that are actually taking place (irl). I dunno… just thought it was interesting to share. 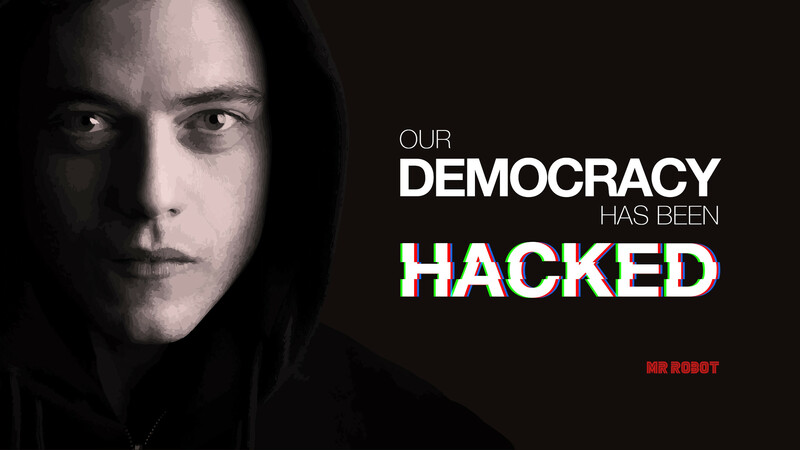 Mr Robot is another really good show that’s helped me become even more paranoid than I already am. I actually have to concentrate when watching this because if I don’t, a lot of it will go over my head. Honestly, I’m not always in the mood to watch the newest episode as I prefer to binge-watch the whole thing so it’ll make more sense to me. 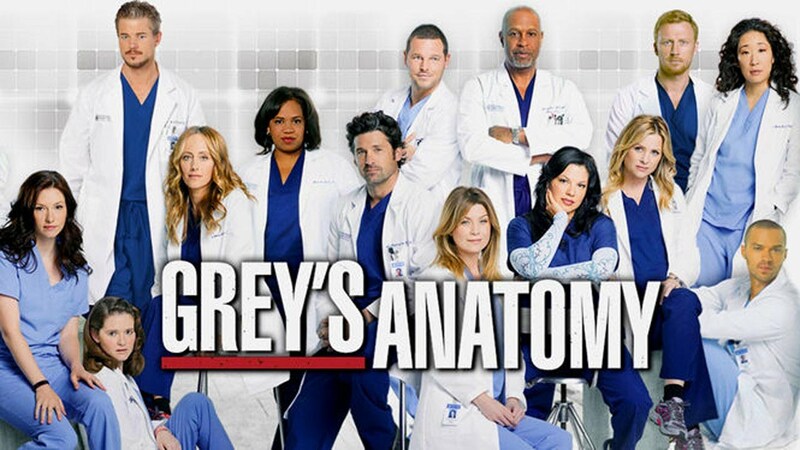 One show I’ve loved forever is Grey’s Anatomy. I’m always looking forward to the newest episode and watch it as soon as it’s out. I love Shonda Rhimes for creating Grey’s Anatomy (and Scandal, and How To Get Away With Murder) because she messes with my feelings. I’m practically bawling my eyes out every other episode! 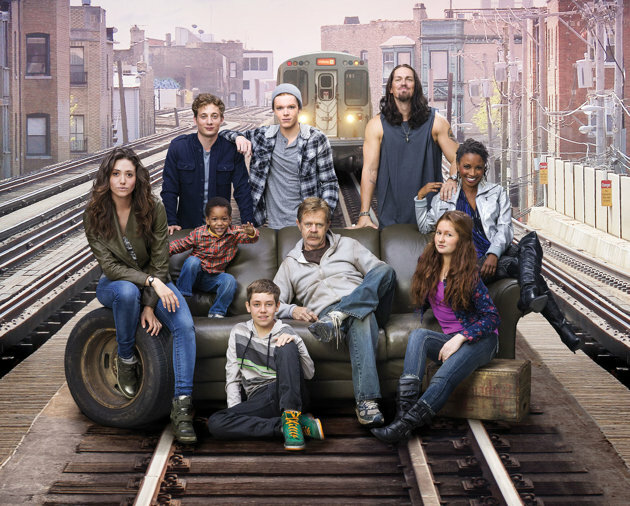 With the show Shameless (US) there are no words. I could attempt explaining it but I wouldn’t do it any justice. 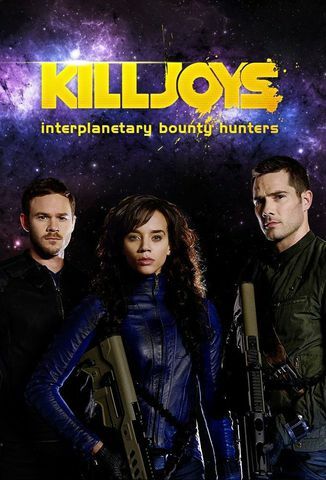 It’s not a period drama and it’s not sci-fi. There are no special effects and yet it’s absolutely fascinating! I love this show so, so much, almost as much as Grey’s Anatomy. Everyone thinks their family is dysfunctional but this show takes dysfunctional to the next level. Shameless (US) is based off of Shameless (UK). Another “fluff” show (like Suits) is Scorpion. It’s about a bunch of socially awkward geniuses who work in tandem with Homeland Security to solve crimes, prevent disasters, etc… The main character Walter O’Brien is played by Elyes Gabel (who was Rakharo, one of the Dothraki on Game of Thrones). Apparently Walter O’Brien is a real person and the show is supposedly based on him (he’s also the executive producer). 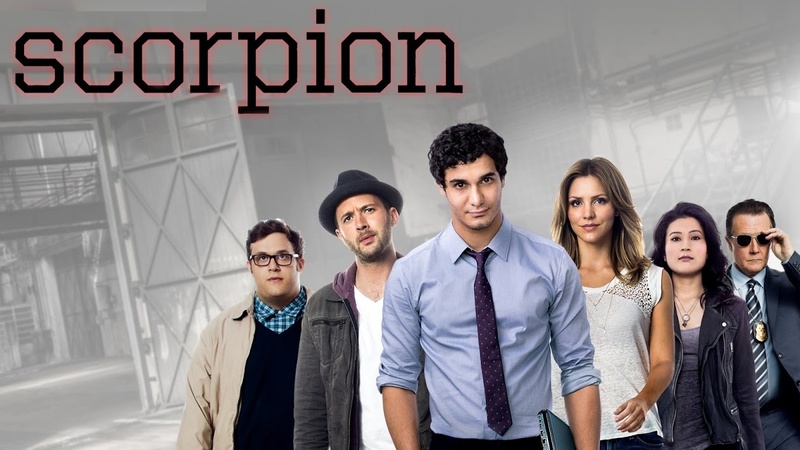 If you enjoyed Chuck, you’ll most definitely enjoy Scorpion as it has that same goofy comedic feel. Empire is pretty entertaining especially since it’s not one of those shows where you have to really focus to understand it. With her flashy clothes and sharp tongue, every time she whacks one of her sons upside the head, Cookie strongly reminds me of a typical Arab woman. I could do without all the singing on the show but I guess that’s their hook. Nashville is another show that revolves around music. Personally, I can’t stand Country music (aside from a single Johnny Cash song that has nothing to do with the show) so I work on something else when the show is on but the cast includes my favorite little midget Hayden Panettiere (cheerleader from Heroes) who is absolutely stunning so I look forward to seeing what she’s wearing on the show, the way her hair and makeup is styled, and so on. Why is that human being not more famous? What is wrong with you, Hollywood? Obviously that was rhetorical because everything is wrong with Hollywood (lawl). The guy who plays Deacon on the show is beautiful and has the cutest southern drawl! There’s a lot of eye-candy on the show but Avery has my heart (coincidentally, another Avery has my heart on Grey’s Anatomy). The girl who plays Scarlet looks like a real-life pixie! It actually hurts my eyes to look at her, like seriously, no human being should be that pretty. 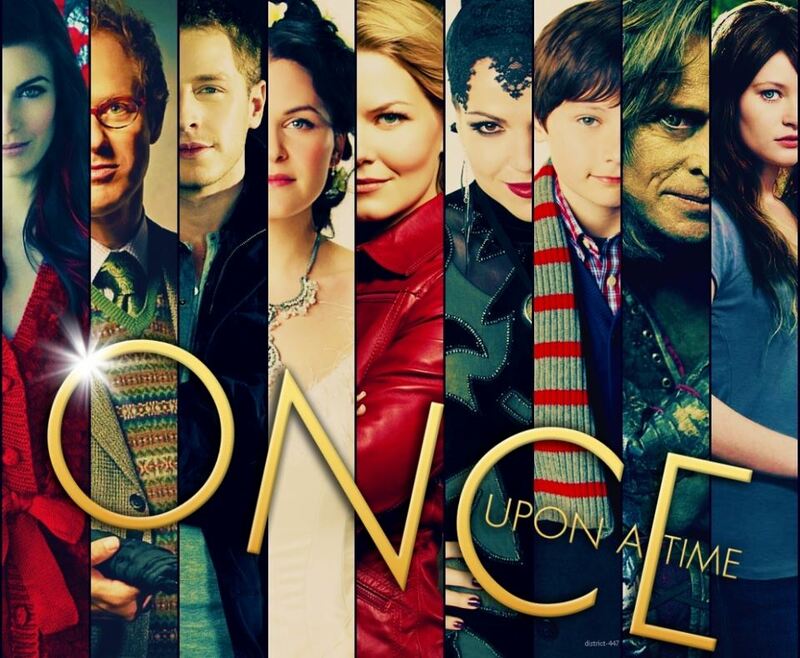 Speaking of fairy tale creatures, from the creators of Lost (Adam Horowitz, Edward Kitsis) comes a show that revolves around all the characters from animated Disney movies and more, called Once Upon A Time. They brought us flash-sideways in Lost but in this show it’s pretty much flash-whichever-which-way (lawl). I always look forward to seeing which new characters are going to be introduced, what they’ll look like (clothes, etc…), and who (whom?) is going to play them. Almost forgot to mention that this show has a huge star-studded cast! The show has it’s ups and downs but overall it’s pretty enjoyable and best of all there is no singing! 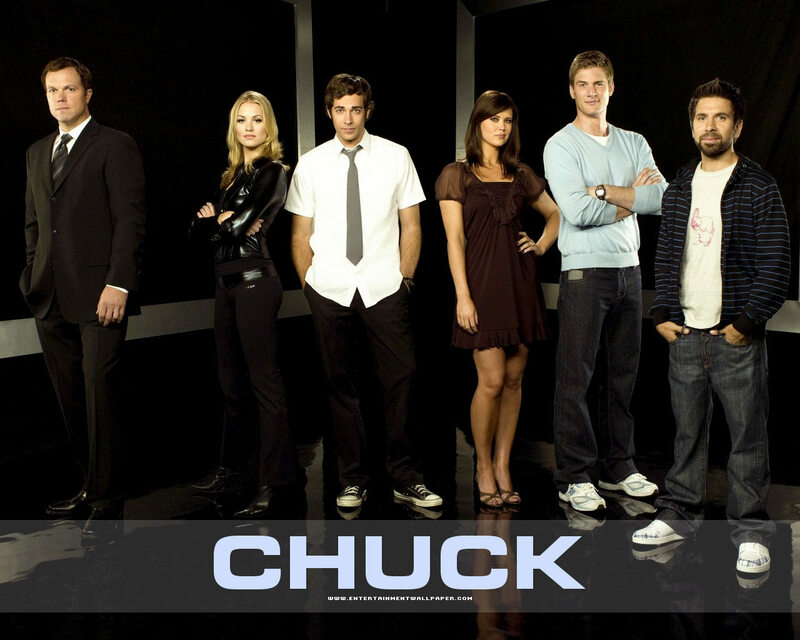 I tried watching the pilot several times (I was about ready to give up) but got into it on my final try. 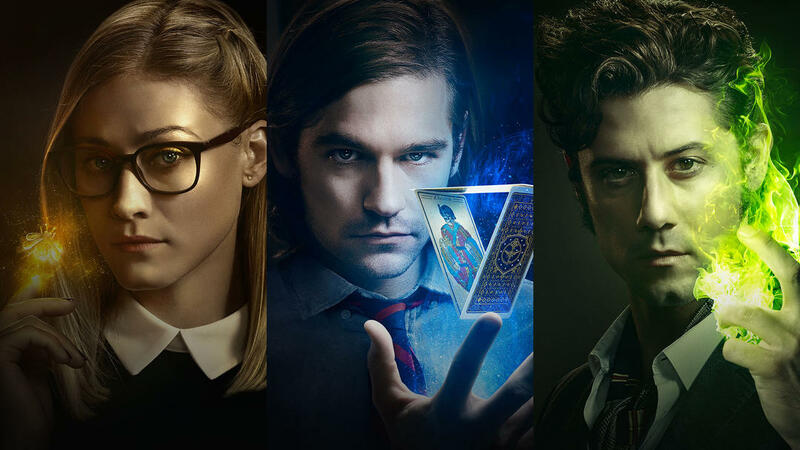 The Magicians is like Harry Potter without the budget, basically. 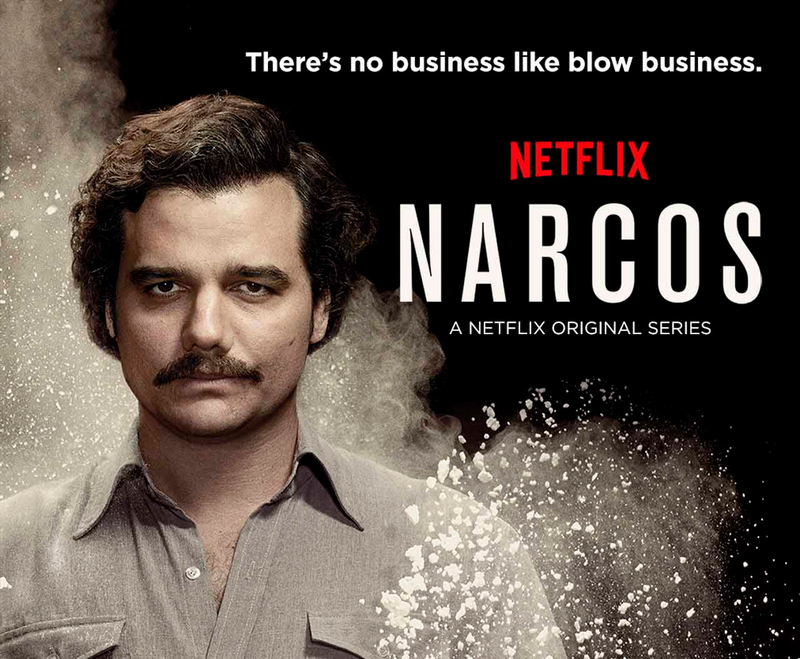 This show isn’t for everyone but I enjoyed it! 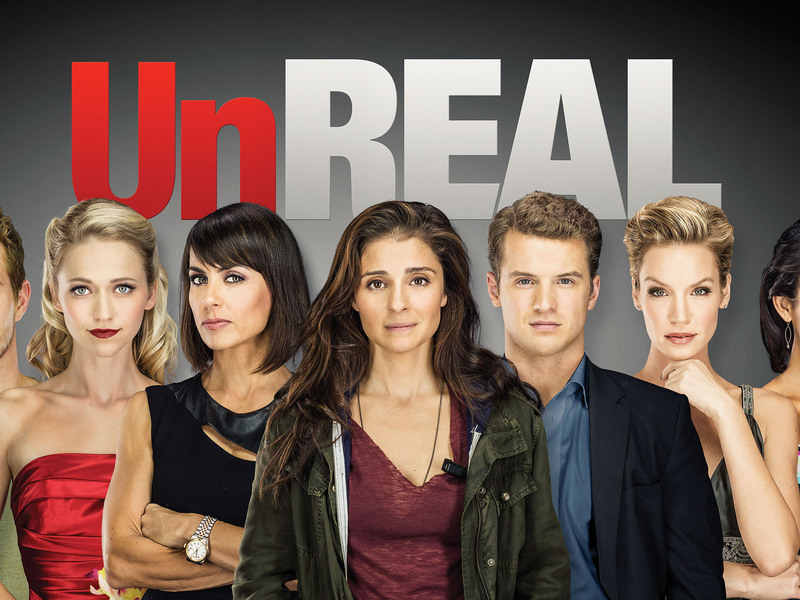 UnReal is about the behind-the-scenes drama that takes place on a reality tv show (just to clarify, this is not a reality tv show). 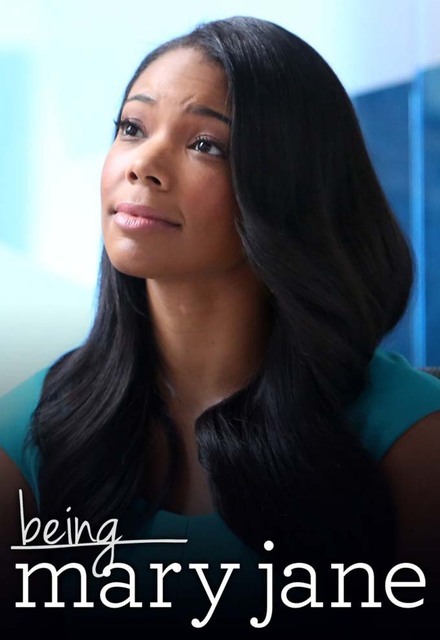 Being Mary Jane is another show that started off strong (the main character is always sticking all these post-it notes with “inspiring” quotes on them all over her gorgeous home) but several seasons in, it seems her sole focus is finding a man and getting married… I mean there’s nothing wrong with that but it’s not exactly inspiring. I dunno’, the topic irks me because I have a handful of intelligent, gorgeous, successful Kuwaiti girlfriends whose sole focus is on getting married so I’m kinda’ over it. So yeah, the show has absolutely nothing to do with marijuana. Alyssa Milano (Charmed) was in the first season but I was never a fan of hers. I watched Mistresses mainly because I think Yunjin Kim (Lost) is adorable! No story, no nothing. It’s just blah blah followed up by blah blah blah. 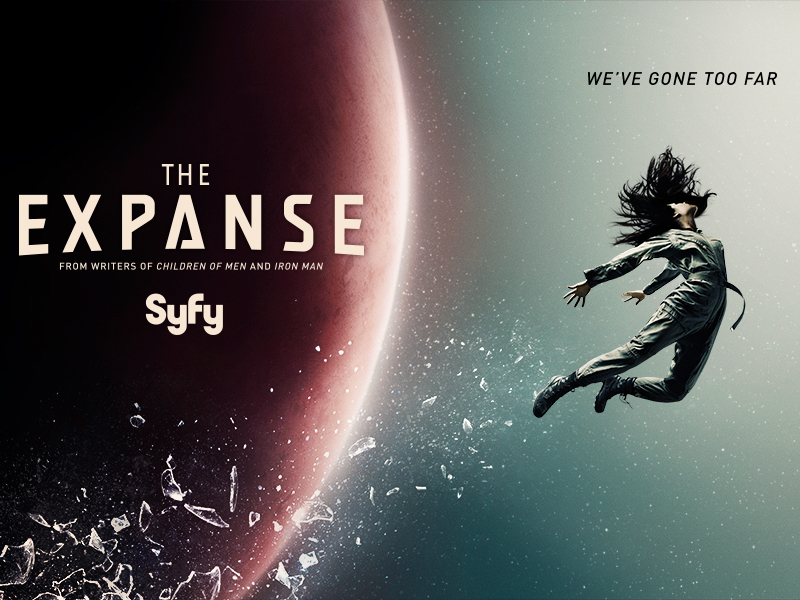 Nonetheless, I quite liked the show and I’m sad to see it go. 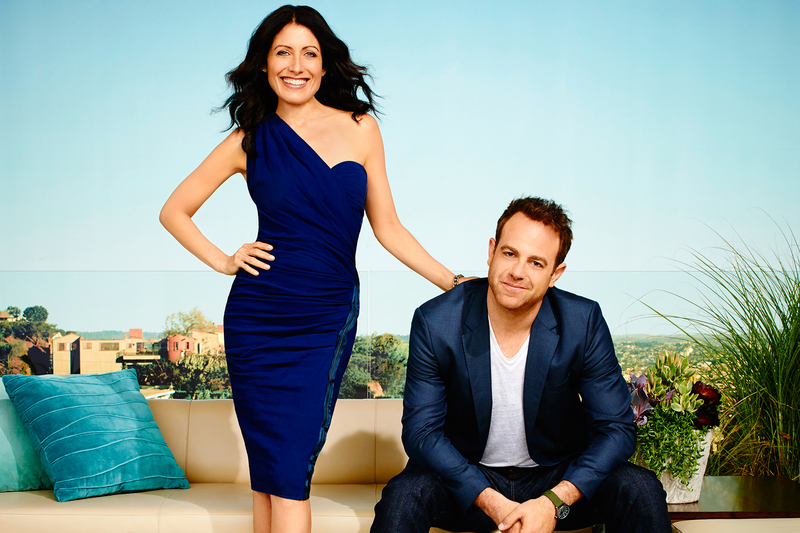 Girlfriend’s Guide to Divorce was one of the shows that started off weak (especially with a title like that) but this show honestly just keeps getting better and better. In fact, I’d even liken it to something created by Shonda Rhimes. The relationship the main character has with her ex-husband is very touching! Younger is about a forty year old pretending to be twenty-something year old so she can get hired to work for a publishing company after she realizes she can’t get any work because she was a stay-at-home mom for decades. She dates a younger guy (who is incredibly hot) and hangs out with millennials at work (including her co-worker Hilary Duff) all while hiding her secret. 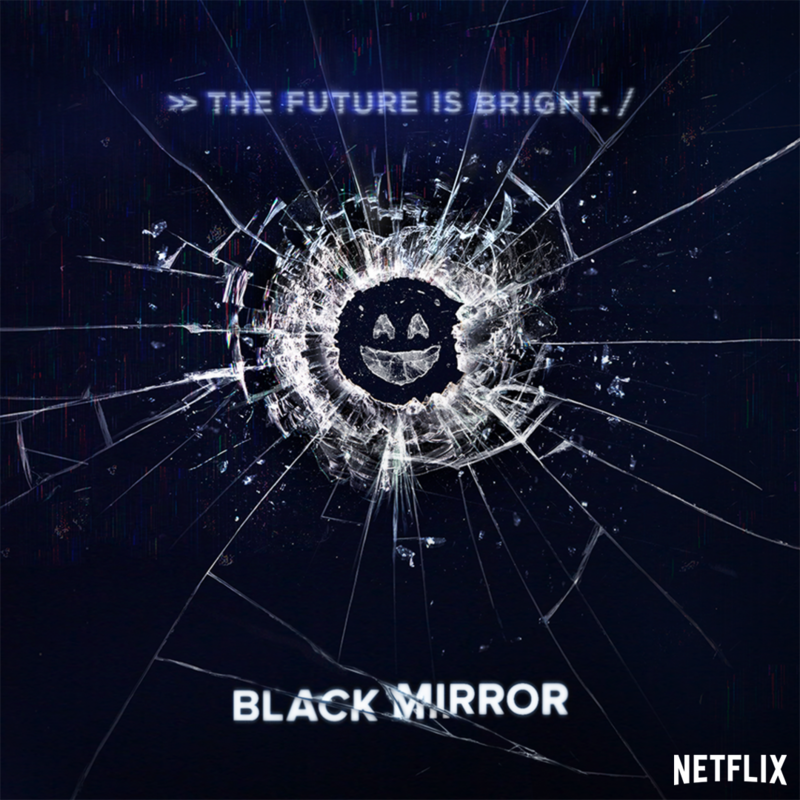 I like everything about this show, aside from the lead character (lawl). That’s pretty much it for the estrogen-fest shows. My main love though is Korean Dramas which are right up there with The Walking Dead for me but this post has gone on long enough so I’ll do a separate post on Korean shows sometime in the future. 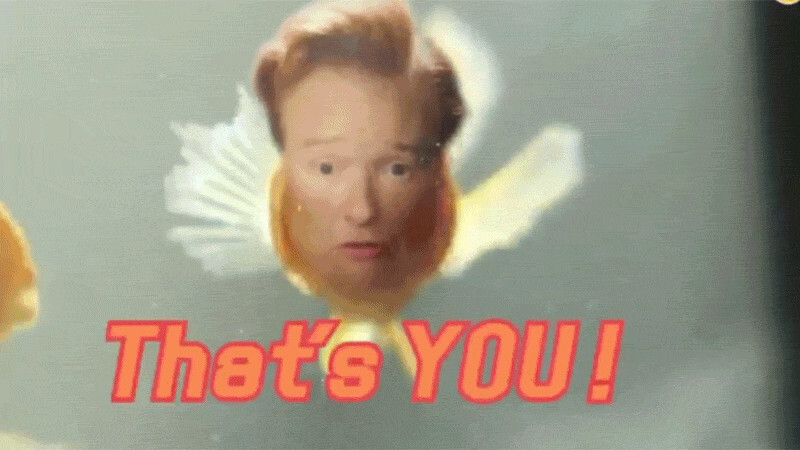 With that being said, I was watching one of my Korean shows when I saw Conan O’Brien appear on the show… as a talking goldfish. At first I died laughing but then I almost died because I needed to share this with someone but unfortunately the people in my life who do watch Conan, don’t watch Korean shows and by that same token people who do watch Korean shows, don’t watch Conan meaning none of them would be able to grasp how surreal, if not mind-blowing this was, so I didn’t say anything to anyone. Few weeks later, the Conan in Korea special (where he chills in Korea with Glenn from The Walking Dead) was aired and everything started making sense again! Yaaaaaaaaaaaas! 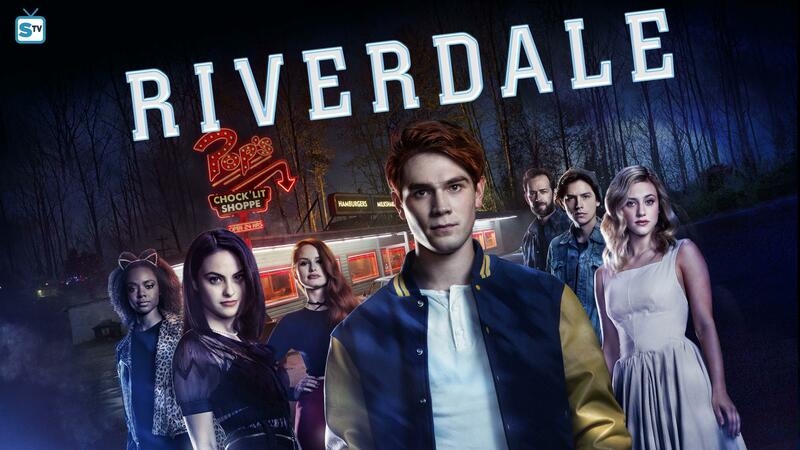 Everyone in Riverdale is going to be in er, Riverdale! From Cheryl Blossom to Josie and the Pussycats and of course Archie (obvi)! 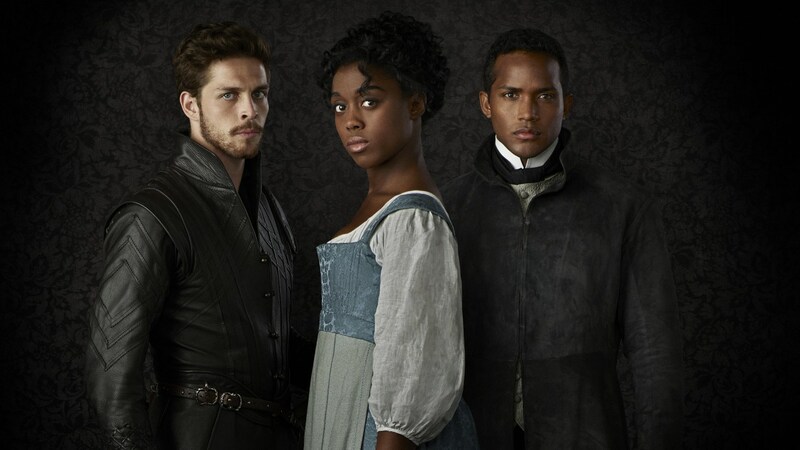 Still Star-Crossed follows the tragic aftermath of Romeo and Juliet’s tragic deaths. The show is going to be produced by none other than Shonda Rhimes! Eeeeee! I die! 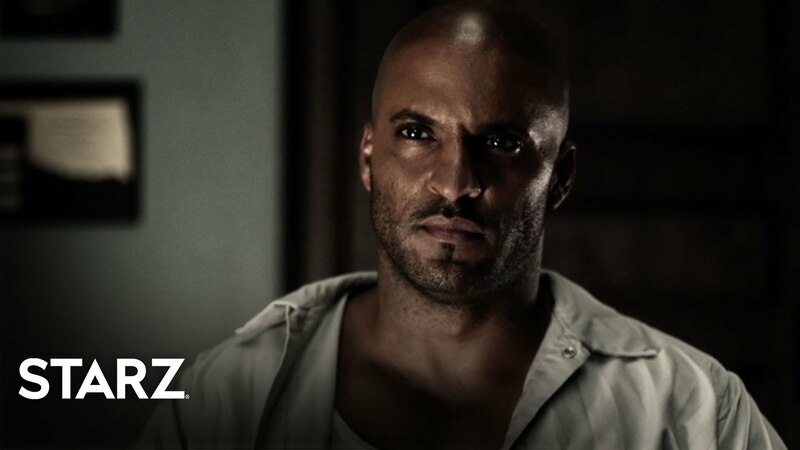 I’m super excited for American Gods which is a fantasy show that boasts a lot of awesome characters like Shadow Moon, Bilquis (Queen of Sheba), Jesus (yup, that Jesus), a reincarnation of Odin, etc… The show looks like its going to be insane and I can’t wait! 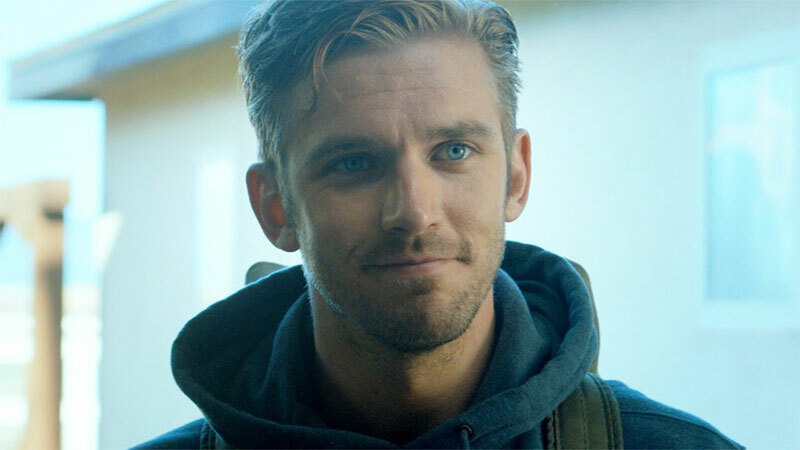 Legion based on the X-men character (Charles Xaviar’s mutant son) is going to be starring Dan Stevens (Downton Abbey)! 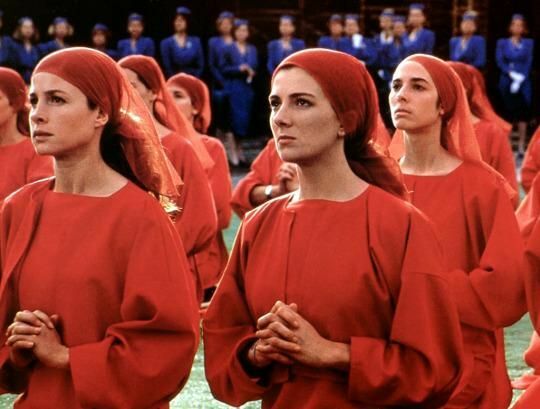 The Handmaid’s Tale is based off the book of the same name (which I never got around to reading). It’s set in a dystopian future (Eeee! My favorite!) so I’m pretty excited to see how it plays out.